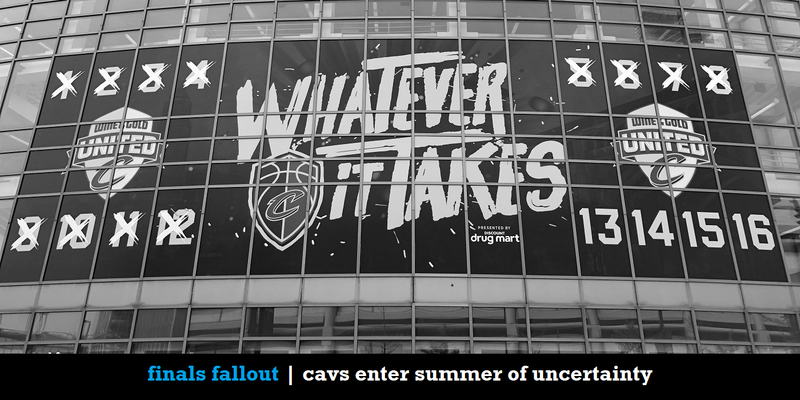 It was a painful NBA Finals – both figuratively and literally – for LeBron and the Cavs. 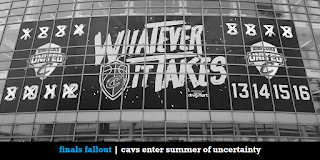 Dodgy officiating, a killer mental mistake and a punched white board punctuated Game 1, and the Wine and Gold never recovered for the remainder of the series. The guys discuss the late-game proceedings in Game 1, LeBron’s busted hand, the burden on the Cavs’ front office navigating the draft and free agency in light of LeBron’s potential departure this summer, the Warriors’ weird dynamic with Kevin Durant, and how long Golden State can keep its nucleus together.